July 2 – FIFA President Sepp Blatter once again declared the Confederations Cup a success at his final news conference of the two-week event – and re-iterated that football was playing a unifying rather than divisive role in the country. 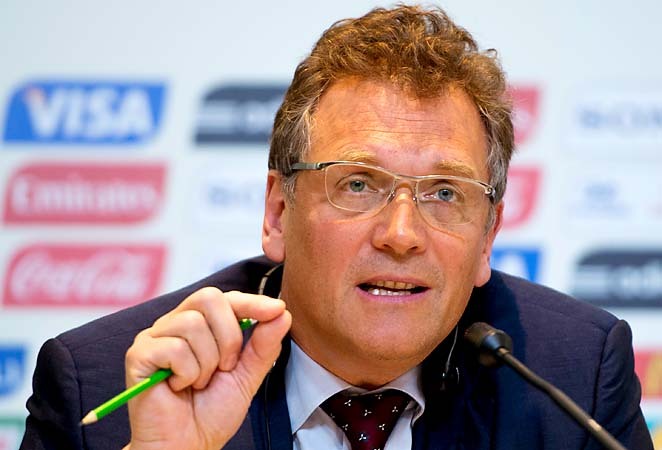 July 1 – FIFA secretary general Jerome Valcke has accused UEFA of “opportunism and irresponsibility” after Europe’s governing body denounced FIFA for asking World Cup hosts to fork out a fortune on infrastructure to the detriment of more important social needs. 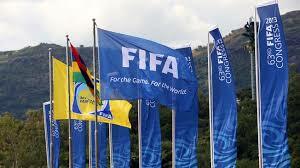 June 26 – FIFA has imposed a worldwide ban on two Lebanese assistant referees who were jailed in Singapore this month for accepting sexual favours to fix a match. 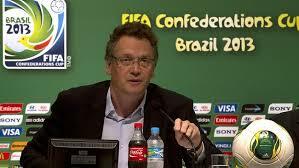 June 25 – FIFA secretary general Jerome Valcke insists there is no Plan B for next year’s World Cup and no chance of stripping Brazil of hosting rights as a result of the anti-government protests that have swept through the country for the past fortnight. 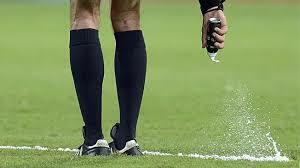 June 24 – For the first time in FIFA competitions, vanishing spray to prevent players encroaching at free kicks is being used at the under-20 World Cup in Turkey, the latest move to aid referees following the introduction of goalline technology at the Confederations Cup. June 24 – Worldwide television audiences for the Confederations Cup continue to grow despite the adverse publicity generated by the widespread protests in Brazil. In the second round of matches, markets including Japan, Spain, Germany and the UK – the last two of which don’t have a team in the competition – all witnessed increases in viewing figures. 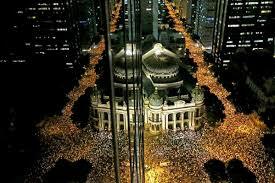 June 20 – As a wave of social unrest continues to sweep through Brazil, FIFA President Sepp Blatter has urged the public to stop using football as a means of expressing their anger and says they can only benefit from the tournament returning to the country next year for the first time in over half a century. The protests, timed to co-incide with the ongoing Confederations Cup, has cast a shadow over the World Cup dry run event that has produced several exhilarating games in full stadia. 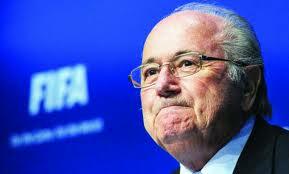 June 19 – FIFA President Sepp Blatter may still not have confirmed publicly whether he intends to remain in the job when his current four-year mandate expires in 2015 but his number two has added to growing indications that the veteran Swiss may yet try to carry on into a fifth term. 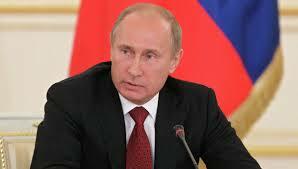 June 11 – Russia’s preparations for the 2018 World Cup have taken another step forward after President Vladimir Putin signed off on the so-called ‘World Cup Law’ that has caused so much debate. 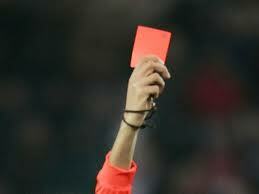 June 8 – An in-depth study of injuries across all sports at the London 2012 Olympics has found that women footballers faced a substantially greater risk of getting hurt than their male counterparts. The International Olympic Committee study, published in the British Journal of Sports Medicine, recorded 99 injuries among the 220 women who participated – a rate of 45%. 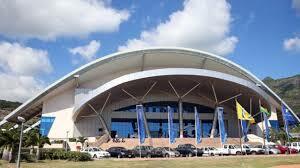 June 7 – Ahead of the kick off of the 2013 FIFA U-20 World Cup on June 21, the Local Organising Committee (LOC) has agreed sponsorship deals with Aksa Jenerator to provide energy and with Hyundai to provide 112 official cars. June 4 – When the official draw for September’s FIFA Beach Soccer World Cup Tahiti 2013 is streamed lived tomorrow on FIFA.com, the Pacific islanders will take another significant step in the world of international football, putting hosting credentials alongside a growing list of playing achievements. 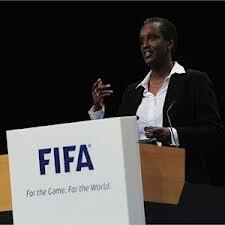 May 31 – Lydia Nsekera of Burundi became the first ever elected female member of FIFA’s executive committee today but her victory was shrouded in alleged politics despite football’s world governing body striving for new transparency and openness. 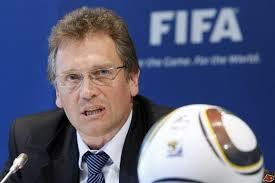 May 31 – FIFA’s much-trumpeted reform measures, designed to improve the battered image of world football’s governing body and herald in a new era of transparency, were approved by a landslide majority of members today – but not before Mark Pieth, the governance advisor charged with drawing up the original proposals, caused a huge stir by challenging Sepp Blatter and his colleagues to reveal their salaries. May 31 – In one of the most direct speeches of his 15-year FIFA presidency, Sepp Blatter today launched a tough-talking and passionate defence of his organisation’s efforts to eliminate corruption whilst attacking the scourge of racism in football in similar fashion.